I’ve always liked the idea of using ‘Organic’ beauty products – but to be honest, I’ve never fully understood what the term actually means… It sounds nice and natural, but are the products really worth investing in? Organic brands don’t use synthetic chemical ingredients. Organic brands use farmland that has been free from chemicals for a number of years. Organic brands have to keep detailed written production and sales records. To avoid contamination organic brands have to physically separate organic products from non-certified products. Organic brands have no irritants and are therefore kind to the skin as well as our precious environment. It’s worth mentioning that the word ‘Organic’ on the label doesn’t always guarantee that the product is 100% Organic. Personally, I have nothing against products that are 80% or 90% Organic, as long as they make it clear to the customer that is the case. If it bothers you, make sure you always check the small print! With all this in mind, here are a few of my favourite ‘Organic’ finds!! I adore this moisturising blend of jojoba, apricot, and rosehips oils! It invigorates skin, giving a lovely glow – and leaves my body feeling incredibly soft and silky. I find it hard to zone in one particular product from Tisserand, as the whole range is irresistible. I love this hand wash, which contains Organic Tea Tree, as you get a hit of delicious, zingy fragrance whenever you visit the bathroom – so you can enjoy the product throughout the day. 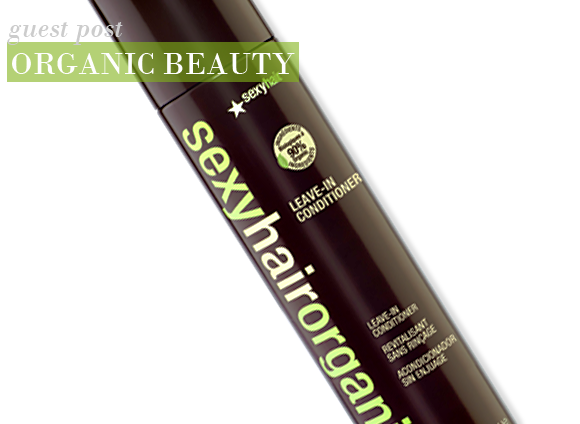 Containing 90% Organic ingredients, this conditioner leaves my locks feeling silky soft and tangle free. Better still, it banishes frizz and deters flyaway – so it’s perfect for applying to hair before styling into an up-do during the party season! 95.2% of the natural ingredients in this velvety-smooth shower gel are issues from Organic Agriculture. It’s the perfect treat for evening baths, as the scent of lavender is hugely relaxing. This lightweight, non-greasy oil is a staple of my skincare routine – it hydrates skin, whilst providing a radiant glow. It’s attracted a cult following over recent years and would make a fabulous stocking filler for somebody special! This entry was posted on Monday, November 29th, 2010 at 9:39 am and is filed under Guest bloggers, Hints & Tips, Skincare. You can follow any responses to this entry through the RSS 2.0 feed. You can skip to the end and leave a response. Pinging is currently not allowed.